ETC Sports Surfaces Limited have recently completed a new project for Darlinghurst Academy (@DarlinghurstSch), in Essex. The works consisted of the resurfacing of an existing Multi-Use Games Areas (MUGA) with a ‘New’ artificial grass (sand-based) surface, and associated works. The surface that ETC Sports Surfaces used was a “Tournament 18” sand based artificial grass surface, supplied by Playrite Surfaces (@PlayriteSurface). ETC Sports Surfaces Limited started works on site of Darlinghurst Academy on the 26th of April 2018 and achieved practical completion on the 15th of May 2018. MUGA pitches are becoming increasingly popular for clubs and facilities that are growing in member capacity, but not growing in land space. 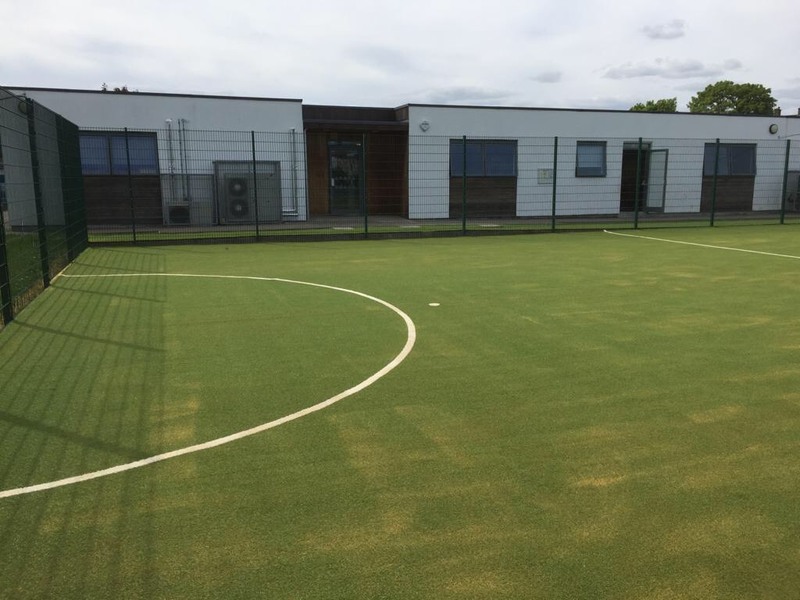 The MUGA allows them to lay down a surface that can be used for multiple different sports, successfully making good use of the space that they have. These surfaces are particularly good for schools with small spaces, it allows the area to benefit all the sports needs during P.E. etc. MUGA pitch costs can vary, this can depend on the size of your facility, what surface you want to use, and what sports you want the surface to be used for. There are five variations of MUGA Pitch, each with different characteristics to suit your sporting requirements. Type 1 is an open textured porous asphalt area for rebound sports, primarily used as a tennis & netball court; Type 2 is built with netball as the priority sport; Type 3 is a polymeric surfaced area where netball is also the priority sport; Type 4, also a polymeric surface is used for five-a-side football, basketball and general sports training and play; and Type 5 is a synthetic turf used for sports such as hockey, football and training areas for athletics and rugby. 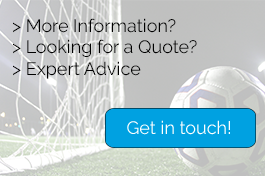 If you are thinking of a MUGA Construction for your facility, follow the sports link below. Want more? Check out the following pages! Twitter is always a great place to get the latest information from our Clients, Suppliers & Friends, check out these Twitter Accounts below.